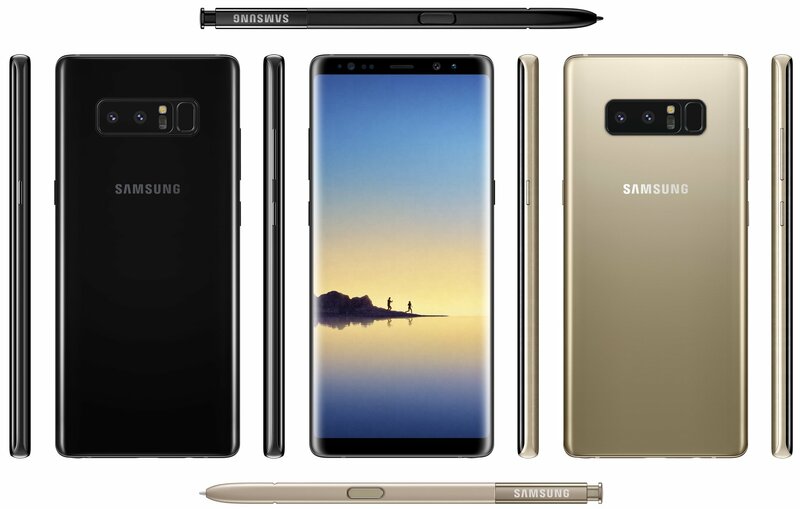 This is just the beginning of the month and the upcoming flagship phablet- Galaxy Note 8 has leaked twice. 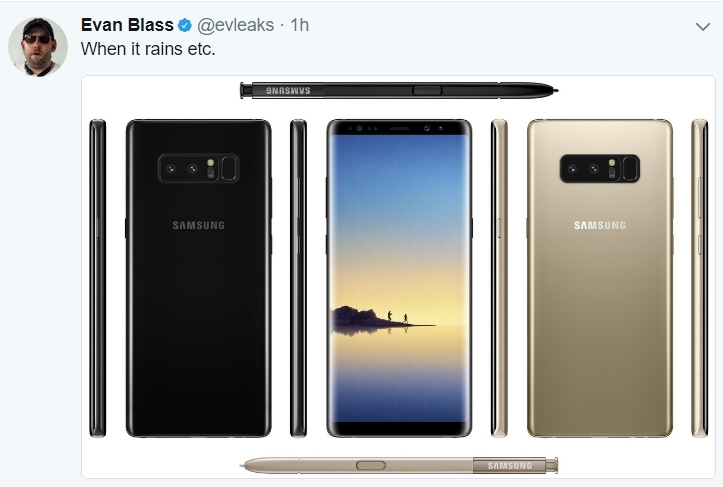 Earlier this morning, the most trusted mobile reporter/leaker- Evan Blass tweeted via his official twitter account showing the front face of the Galaxy Note 8. However, the image only revealed the front face that showed the stunning 6.3- inch infinity display, iris scanner, and an abandoned home button. Now, there is another tweet from his account and as predicted earlier, this unveiled the dual camera setup at the back. This also means Galaxy Note 8 is the first Samsung device ever to have a dual camera at the back. As we take a closer look, the image reveals the fingerprint scanner placed at the back beside the dual camera. This means it will be hard for the users to quickly unlock the device same as the S8(Plus). Moreover, it also has the native heart rate monitor sensor placed between the dual cameras and the fingerprint sensor. The image not only reveals the camera changes but also flashes a newer color, it looks pretty, though. The S-Pen also comes with the same color of the phone, we hope the Note 8’s S-Pen might have an added features than its previous iterations. Currently, Samsung’s Smart Assistant- Bixby only supports Korean languages, we hope Note 8 will be a betterment with extended support for other languages as well. If you want to download the full resolution images of the Note 8, you can grab it from the link given below. Soon we will be posting the stock wallpapers from Galaxy Note 8, so stay tuned for that. Also, share your thoughts on the Galaxy Note 8 in the comments section below.